When you talk about posterizing dunks, the first thing that comes to your mind would be NBA players like LeBron James, Kobe Bryant, Blake Griffin, and Kevin Durant leaping over towering defenders. 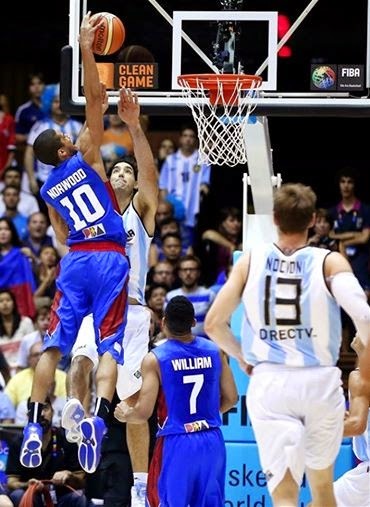 So it came as a surprise when Filipino Gabe Norwood posterized Argentina’s 6-foot-9 center and NBA veteran Luis Scola on a fastbreak play. Norwood wasn’t finished though. In another play, he drove into the interior then posterized Argentina’s 6-foot-7 Marcos Mata.